What does the story of 12 boys and their football coach rescued from an underground cave in Thailand and decisions made in Scotland about allocating healthcare resources have in common? Many people will be aware of the recent story in the media about the rescue of 12 boys and their football coach who were trapped in an underground cave in Thailand. Huge resources were devoted to rescuing them, although there is no reliable estimate of how much the concerted rescue efforts cost. Nobody (to my knowledge) raised the issue of cost or questioned whether the amount of resource being expended could be used in better ways. And yet, more commonly, when we are examining how we spend healthcare resource, a very major consideration is whether we are spending money effectively, i.e. getting the most benefit for the money we spend. But what happens if there is a limit to the amount of resource we can expend? Unlike in emergency situations where an instant and energetic, and sometimes ad hoc, response is required (as in the Thai cave rescue) medical rescues tend to take place within a much more structured and managed environment, where interventions are calculated, within a matrix of other possible interventions, opportunity costs, and limitations to knowledge and resource. If the Rule of Rescue is our intuitive sense of duty to save those in peril, modern health care services, medical knowledge and technology, with its constant discovery and innovation, have created a situation in which our instincts, unfettered, could mean our entire economic output (GDP) is used in facilitating rescue. This is because the situation of peril, or avoidable death, in a medical setting, is far less a rare emergency event, and much more an ever present reality, a drama being played out in hospitals and non-medical settings all around us every day. And new technological developments, including medicines, are creating new Rule of Rescue situations, where, a few years ago, no rescue would have been possible. So how do we decide what amount of resources to devote to rescue? Health economists have devised an approach called the QALY (quality of life year) to compare the benefits of diverse treatments, including medicines, with their costs. However, this formal calculation, based on comparing different treatments to identify the most cost-effective, can become controversial when used to make assessments on treatments for conditions that appear to evoke our ‘rule of rescue’ moral instinct, for example, expensive new drug treatments for those severely ill, but which have limited effectiveness. One ethical issue raised by the ‘Rule of Rescue’ is visibility, in the sense that we have to be aware that someone is in danger and there is a clear opportunity to try and save their life. If we prioritise interventions based on rescuing people who are clearly present and in visible peril, there is a risk that we neglect those who are in just as much peril, but for whatever reason, are not as present or visible to us. In the professional health care world, based on costs and benefits and calculations about the efficacy of different treatments, it seems only natural to prioritise those approaches and treatments that seem to offer the most value. However, when decisions affect real lives, to some people this calculation can seem ‘out of sync’ with the moral intuition to rescue people in peril. There is a strong pull towards rescuing in a way that precludes the calculation of cost. Although prioritising those healthcare treatments that offer the most benefit seems a statement of the obvious, the view that we should do our utmost to alleviate avoidable deaths or suffering also seems a statement of the obvious. In practice, these two ‘statements of the obvious’ can come into conflict when allocating healthcare resources to different areas and priorities. And this is before we get into other ethical issues regarding health care allocation, e.g. the strongly held view that there should be equity of access for all. One answer that can be given is that we engage with the public to understand how they would manage the trade-off that is necessary between our natural desire to rescue, and the limitation of resources we have to carry that out. Such studies that have been done suggest that although the public, just like the professionals, holds a variety of views, a reasonable proportion of the public would be prepared to spend more resource on ‘rescue’ than is justified under strict cost benefit calculations. For example in 2006 the NICE (National Institute for Health and Care Excellence) Citizen Council looked at the Rule of Rescue and the majority (21 out of 27 members) decided that there are occasions where extra resources, over and above the level required under cost benefit calculations, should be provided, and developed a list of examples, including where there was the chance to avoid immediate loss of life. Importantly the Citizens Council felt that society’s worth could be diminished if ignoring the Rule of Rescue appeared as inhumane, and that there was a greater societal good provided by the Rule of Rescue, that went beyond the immediate benefits to particular people. And in practice NICE does tolerate higher costs for end of life cases and in examples of rare or severe diseases. In Scotland, similarly, the Scottish Medicines Consortium applies additional flexibility in its decision making to medicines for rare conditions or for end of life conditions, where quite usually costs of medicines can be higher. Is this fair? It could be argued that this is unfair to patients who miss out on treatments that they would have otherwise received, if we hadn’t spent the money on ‘rule of rescue’ cases. Quite often these patients are difficult to identify, and they may not know that they have missed out, or they may be statistical, hypothetical patients in the future rather than actual patients now. This may be ethically hard to justify, but when the public have been asked for their views on this, they tend to think that we have a greater duty to help those in need now rather than those potentially in need in the future. However, just like ethical experts, the public, when consulted, don’t give us easy answers or precise formulas for resolving these issues in practice. And the ‘future hypothetical patients’ point doesn’t answer the question of whether it is fair to patients who are also in need now, but for some reason miss out. One reason they may miss out is because they do not have strong advocates in the medical world or the media to argue their case. There is probably no perfect formula or criteria for making these decisions. It feels uncomfortable precisely because there is no right or wrong answer. However only by continuing to be open, and questioning, and sensitive to the conflicting viewpoints and interests, can we be certain – not that we are making the right decisions – but that we are trying our best to make the fairest decisions. And that process involves being fully aware of the opportunity costs of decisions, i.e. not just having more transparency about a priority setting decision, but also about the alternative benefits we could have realised with the funding. 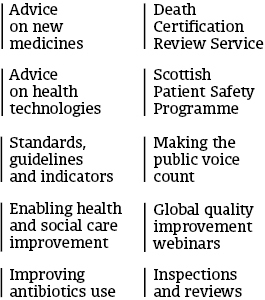 Richard Norris works for Healthcare Improvement Scotland and is a Honorary Fellow at the University of Edinburgh.